COMMUNITY Based Rehabilitation (CBR) senior advisor Alick Nyirenda has said intellectual and developmental disability must be dealt with. And Nyirenda says there is need to take education to children especially those living with disability. January for 13-week attachments to the Livingstone Central Hospital, CBR and Response Network. Speaking during a meeting with representatives of the Arctic University of Norway in Livingstone, Nyirenda said there is need to focus on inclusive development when dealing with issues of disability. organisation called Opportunity Zambia which offered small grants of US$5,000,” Nyirenda said. He added that after that, 800 volunteers were trained in basic skills to work with people living with disabilities. Nyirenda said the CBR programme was being modelled into what was known as Community Based Inclusive Development (CIBD) so as to move away from mere rehabilitation using health which was being used under the CBR initiative. “So there is an expansion to include inclusive development, we want to develop a CBR model for Zambia and we want to include inclusive educational model and package it,” Nyirenda said. He further called for attention to social protection and health issues for people living with disabilities. “We also want to get the school to the child, this home based education is a best way of dealing with community based interventions for PLWD,” Nyirenda said. Response Network deputy director Mutukwa Matengenya says poverty reduction can be achieved if communities take up self-help initiatives instead of depending on aid. Mutukwa said Response Network which works in Kazungula, Livingstone, Zimba and Kalomo helps village communities be self-sustaining in skills; gender based violence, literacy clubs and also deals with PLWD. 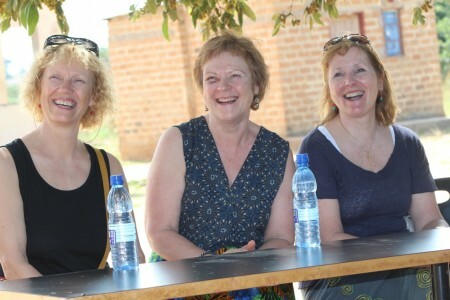 Olsen who was accompanied by Åse Bårdsen a physiotherapist and Anne Gerd Karlsen a public health nurse at the Actic University said the students will be in Zambia to see how best they contribute to well being of rural communities in Zimba, Kalomo or Kazungula.